Navigate to the View/Edit Bundle page by using the ‘Products’ link in the upper navigation bar, and then clicking on the name of the bundle you are interested in viewing or editing. 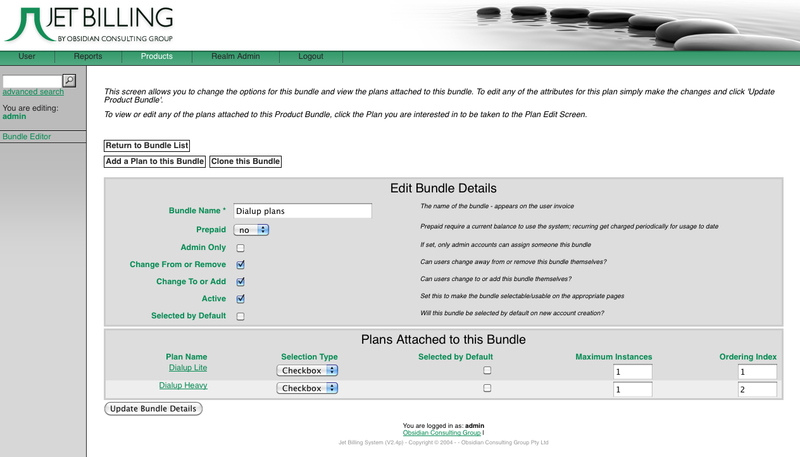 Figure 42: The ‘Edit Plan – Edit Bundle Details’ page. Here you can edit the features of a particular bundle. You can also navigate ‘downwards’ from here to any of the plans attached to this bundle. The Edit Bundle Details page (Figure 42) displays the overall settings for the bundle you chose to look at, and also a list of the plans which this bundle contains. Here you can edit these settings to change the overall nature of the bundle in certain ways, and you can also configure how the plans which make up this bundle are presented to users. Note that some settings cannot be changed after the initial creation of the bundle (such as the ‘Prepaid?’ setting), and these will be shown in a ‘locked’ display, where the text is visible but is not editable.